During 197072 Hans Schlegel served as a paratrooper with the Federal Armed Forces. He left with the rank of second lieutenant, and after several reserve trainings, he was appointed reserve lieutenant in 1980. In 197986 he worked as an experimental Solid State Physicist at the Rheinisch Westfälische Technische Hochschule at the University of Aachen and researched electronic transport properties and optical properties of semiconductors. During 198688 he was a specialist in non-destructive testing methodology in the research and development department of the Institut Dr. Förster Gmbh & Co. KG in Reutlingen, Germany. 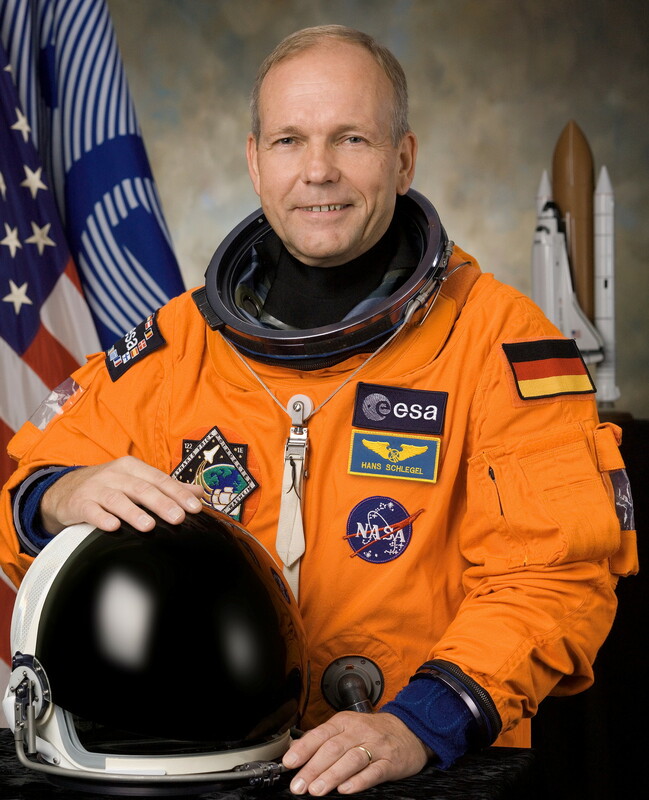 From 1988 to 1990 Hans Schlegel performed basic astronaut training at the DLR German Aerospace Center. The training included about 1300 parabolas to experience weightlessness on a KC-135 aircraft. He became a certified research diver and holds a private pilots licence, including instrument rating and aerobatics. In August 1995 Hans Schlegel went to the Gagarin Cosmonaut Training Center in Moscow, Russia, to train as backup for the GermanRussian Mir-97 mission. 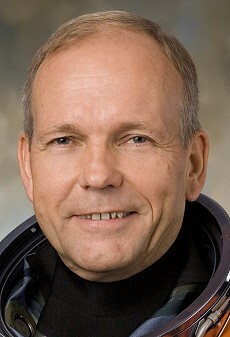 In 1998 Hans Schlegel joined ESAs Astronaut Corps. In August 1998, ESA sent him to the Johnson Space Center to train as a Mission Specialist with NASAs Astronaut Class of 1998. He was also assigned to the Capcom Branch of the Astronaut Office, speaking to astronauts on the International Space Station. He worked as lead Capcom and as Space Station Capcom Instructor. He was from 61 European candidates for the ESA 1991 selection one of five German candidates (and on the shortlist of 25 candidate applicants), but was not selected then. Recreational interests include skiing, scuba diving and flying. He also enjoys reading and do-it-yourself work. Hans Schlegel is married to Heike Walpot (second marriage). Last update on December 29, 2018.